Barts Hospital, in particular the Great Hall, is featured prominently in the final of The Great British Menu. 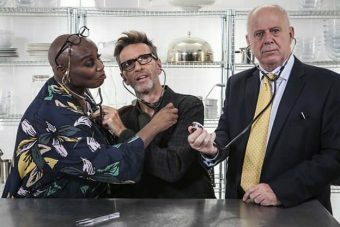 The episode involves the finalist chefs cooking a banquet in celebration of the 70th year of the NHS. What better place to host the banquet than in the oldest hospital in the UK!? The episode is available on BBC iPlayer for a limited time only, so be sure to check it out before it’s too late. The episode can be viewed by clicking here.